ACS Custom – a UK-based digital production house for custom hearing protection, in-ear monitors and other communication devices, has transformed its manufacturing workflow by integrating two Figure 4 Standalone 3D Printers from 3D Systems. After integrating the two 3D printers, the company has realised a four-fold increase in its production capacity, doubled its efficiency and reduced material consumption by as much as 50%. The company has also been able to reduce labour costs by as much as 80% on one part. ACS Custom produces custom devices and in-ear audio monitors for musicians, as well as custom in-ear communication devices for the UK military. The company uses a 100% digital production workflow which includes 3D scanning a person’s ear, importing data into design software to designing the end part, and 3D printing an eggshell mold which is cleaned and filled with silicon. The Figure 4 platform from 3D Systems is highly suitable for such types of custom production applications as it is known to deliver industry-leading throughput with print speeds of up to 100mm per hour and six sigma repeatability. This largely helped ACS Custom to produce long-wear device which allowed enhanced sound transmission and quality. Producing details of how integrating Figure 4 Standalone 3D printers into the workflow has helped ACS Custom produce more parts in same amount of time, Andy Shiach, Managing Director at ACS Custom said in an official release from 3D Systems, “The Figure 4 Standalone, and the overall collaboration with 3D Systems, have totally exceeded our expectations”. “By transforming our workflow with Figure 4, our company is being elevated to a whole new level. We have been able to dramatically increase production capacity and efficiency through our ability to nest multiple parts on the same build plate – producing more parts in the same amount of time. These results are amplified by the incomparable surface finish allowing us to deliver high quality product to our customers. The strength of the technology coupled with the expertise of 3D Systems’ team has made a significant impact on our business,” added Shiach. 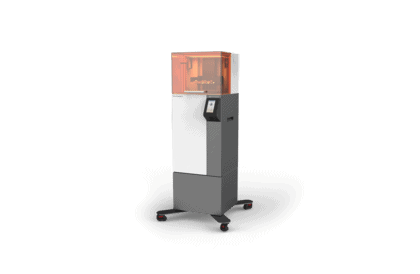 The Figure 4 Standalone 3D printer has also enabled ACS Custom increase efficiency and productivity and reduce time-to-part. For example, the Figure 4 Standalone includes the 3D Sprint software from 3D Systems, which delivers advanced support for preparation, editing, printing, and management while at the same time eliminate the need of using costly third party software. ACS has found 3D Sprint to bring tremendous value to their workflow, reduce errors and improve efficiency. “With the introduction of the Figure 4 platform this year, 3D Systems has partnered with customers in a variety of industries to dramatically transform their workflows and their businesses. 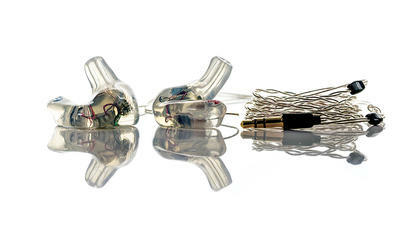 Our collaboration with ACS Custom presented a tremendous opportunity to incorporate eggshell molding in our long list of Figure 4 industrial applications and deliver final in-ear devices that are world-renowned. Figure 4 has helped ACS not only transform their manufacturing workflow, but also maintain their competitive advantage,” concludes Phil Schultz, Senior Vice President, General Manager, on demand and plastics at 3D Systems. About Manufactur3D Magazine: Manufactur3D is an online magazine on 3D printing. We regularly publish 3D printing case studies from leading 3D printing companies. We also encourage companies to share their case studies. If you have helped any company reduce costs with your 3D printing technology, do share your case study with us.